Understand the capacities and mechanisms in place that indicate sustainability of response after project closure. Through previous work, the project had established cross-border programming, and had increased awareness of HIV and treatment among Nepali and Bangladeshi migrants in India. The initial actions undertaken here by the India Competence Team were to identify inherent strengths in the project, the local NGO team, and the community. The India Competence Team used SALT (Stimulate, Share, Support / Appreciate / Learn, Listen / Transfer) as a framework to develop mutual caring in protecting populations from HIV. 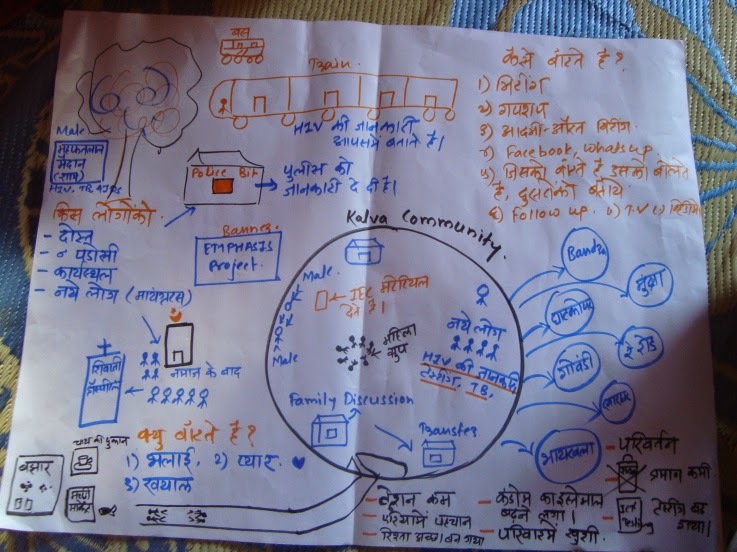 Over a period of 11 months, the India Competence Team had 3 distinct interactions with the NGO team to introduce the concepts, help form a dream, mentor the approach, and facilitate measurement of change. In the following paragraphs, we highlight some aspects of the process. What Will Happen After the Project Ends? Research on public health programs, particularly HIV, has shown that providing services and information alone will not work. Behavior change can come about if communities recognize that an issue is of concern to them. Our project demonstrated a way to do this. The local NGO team was quick to acknowledge the capacity of the communities to own a vision and respond to their challenges. This helped the staff initiate appropriate actions to facilitate a community response. The communities responded by vision formation and action planning for a future beyond this project. All the elements of the Community Life Competence Project as planned could not be implemented in one year. In summary, however, the visible changes we have seen point toward the effectiveness of this approach, one which mobilizes community ownership and adapts to local conditions. 1 Community Life Competence is an approach based on the belief of the capacity of the community to respond to its concerns, measure changes, and transfer strengths to others. More information can be found at www.communitylifecompetence.org, where it is also possible to join their online community. 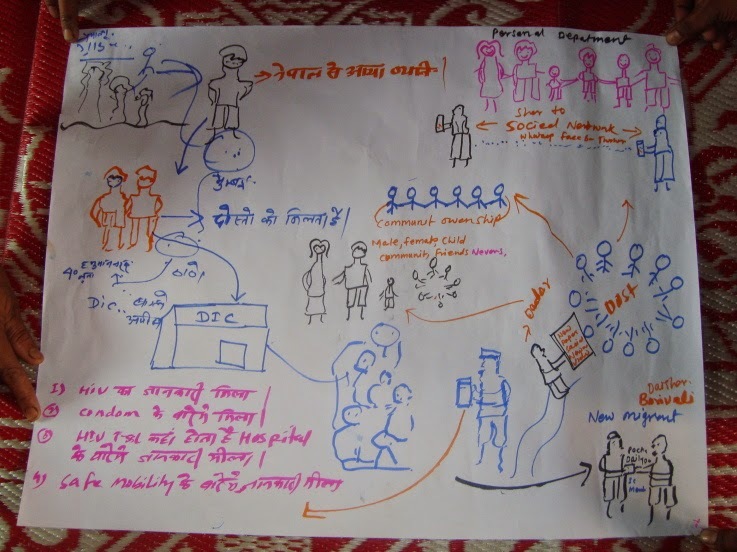 Care India invited the Constellation team based in India to engage with the migrant community for the EMPHASIS Project (Enhancing Mobile Populations’ Access to HIV & AIDS Information and Services). A key factor in what we were able to achieve was the deep faith in capacity of communities among all actors involved - ie you as the team leader of the project, Care staff and NGO partner staff. Each team mate played a critical role and contributed from their heart. Thank you Nabesh for accompanying us throughout.